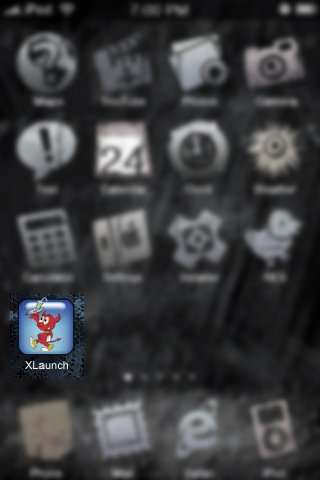 XLaunch is another well done application from Erica Sadun, and can be found in Installer.app from the Ste Packaging source under the System category. The application itself is very clean and is very similar to the Song list in the iPod app on your iPhone. It lists all applications in alphabetical order and has a header for each letter, and even uses the same scrolling alphabet on the right hand side.